Avigilon’s most advanced multisensor camera. The H4 Multisensor can be positioned to monitor virtually any area. You can choose between either 3 or 4 individually configurable camera sensors, which can be positioned to monitor virtually any area and provide up to 360 degree coverage. 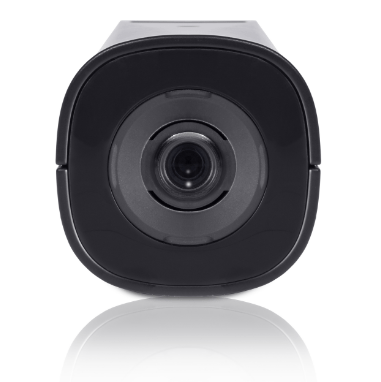 With 9 to 32 MP total resolution, the H4 Multisensor camera delivers broad scene coverage and high image detail. It uses H.265 compression technology to significantly reduce bandwidth and storage requirements, while maintaining clear, detailed images. 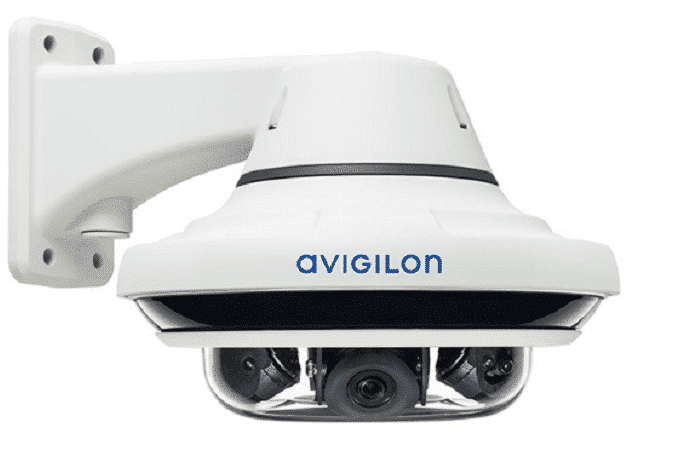 Each camera sensor incorporates patented Avigilon self-learning video analytics and works with award-winning Avigilon Appearance Search™ technology*. 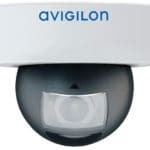 You can analyse in full HD resolution without any encoding or loss of quality and be rest assured that you will have a higher level of protection to keep your assets safe and secure. The advanced video pattern-based algorithms recognise the movements and characteristics of people and vehicles while ignoring any activity that isn’t relevant to a scene. Self-Learning Video Analytics – Detects and learns the home position scene upon initial setup, adapts to changes without manual calibration and notifies operators when important events occur. Manually Configurable Sensors – Move on three axes for a variety of coverage options in a wide range of environments. 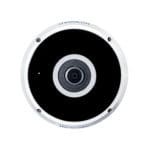 Up to 32 MP Total Resolution – Provides exceptional coverage and image detail by combining the power of three or four multi-megapixel camera sensors. H.265 Compression Technology – Significantly reduces bandwidth and storage requirements while maintaining clear, detailed images. 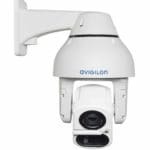 Content Adaptive IR Technology – Provides up to 30 meters (100 feet) of consistent lighting and exceptional imaging in low light conditions. 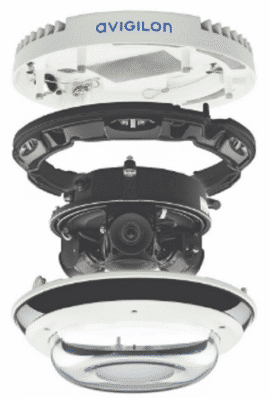 Interchangeable Camera Mounts – Pendant, in-ceiling, and surface mounting options available. What components do you need? 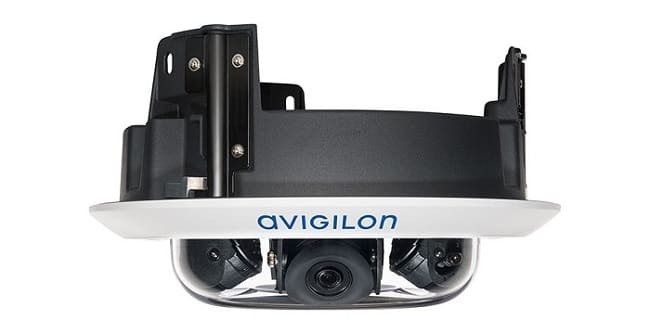 *With the support of the Avigilon Control Center (ACC) video management software, the H4 Multisensor camera helps operators effectively monitor and accurately verify surveillance video, minimising blind spots and saving time during critical investigations. Exceptional low light and increased frame rates. HDSM SmartCodec™ technology optimises compression levels for regions in a scene to maximise bandwidth savings. Capture details in scenes with both very bright and very dark areas. Versatile three-axis adjustment for simple mounting in any configuration. Automatically adjust to changing scene conditions and continue to adapt to scene changes without the need for any manual calibration. Provides up to 30 meters (100 feet) of consistent lighting and exceptional imaging in low light conditions.